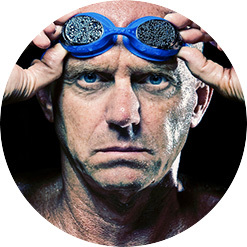 Rowdy Gaines is a 3-time Olympic Gold Medalist and considered the international Ambassador for the sport of swimming. Rowdy was recently voted one of the 30 most influential people in the history of swimming and will be broadcasting a record 7th Olympics for NBC in Rio. Now 57, Rowdy still competes in masters competitions and is the fastest-over 50 swimmer who has ever lived. Rowdy is the Vice President of Aquatics for more than 20 Central Florida YMCAs and the subject of the new book Rowdy Rising about his comeback from the dream crushing 1980 Olympic boycott to overcoming a paralyzing and potentially fatal case of Guillain-Barré Syndrome. Rowdy Rising is available now on Amazon.